Ruby red with purple highlights. The nose is intense and youthful with dark fruits and with some balsamic notes like tobacco. 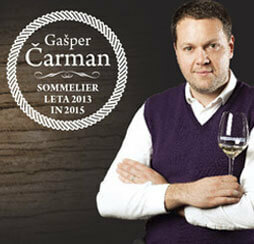 The palate is in nice balance with the nose, of medium weight and intensity and with a clean and fresh finish. Grapes: 32% Syrah, 33% Cabernet Franc, 30% Merlot, 5% Petit VerdotVineyards: Soil type is part clay, part Bolgheri conglomerate. Vines were first planted in 2002. Training is cordone speronato (spurred cordon). Density is 6,500 vines per hectare (1.5 bottles per vine).Harvest: Late August to early October 2011. All harvesting is done by hand.Vinification: Grapes are strictly sorted on a vibrating belt at the cellar. They are then de-stemmed and soft crushed. Fermentation takes place for 21 days at 28°C. 10% of the wine undergoes malolactic fermentation in oak barrels and the remainder in stainless steel.Ageing: 50% of the wine is aged for 4 months in new and second-use French oak barriques. The wine is aged for another 3 months in bottle before release.Alcohol: 14%Total Acidity: 5.0 g/LpH: 3.75 Tasting NotesRuby red with purple highlights. The nose is intense and youthful with dark fruits and with some balsamic notes like tobacco. The palate is in nice balance with the nose, of medium weight and intensity and with a clean and fresh finish. A dream come true. 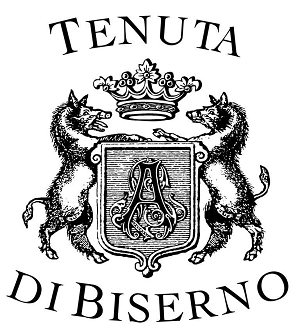 In 1994, while looking for additional land to expand his Tenuta dell’Ornellaia vineyard, Lodovico Antinori discovered the property of Tenuta di Biserno near Bibbona. What he found, however, had so much potential that he was inspired to develop a quite different plan; with more hills and stones than nearby Bolgheri, this land appeared to be ideally suited to produce a new and different wine! “It’s a magical place with wonderful soil and micro–climate, very similar to that of Bolgheri.” The experts confirmed his appraisal – Tenuta di Biserno is a perfect terroir – and so, for the first time in more than two decades, Lodovico and Piero Antinori decided to start a new winery together.